Middlebury College is in the midst of hiring a food systems senior faculty member to develop our Global Food Program. While there has not been a formal food studies major, food courses have been taught at Middlebury and at the Schools Abroad for decades. Students are also interested in food beyond the classroom and have been active in creating a student farm, participating in the Real Food Challenge and the FoodWorks Fellowship. Middlebury FoodWorks Fellowship combines a for credit food systems course with a paid nine-week internship. Students live, cook and learn together at each site: VT, KY, D.C. Its mission is to provide summer experiential opportunities that enhance student learning and engagement in food studies. Students participate together in a curriculum designed to meet targeted learning objectives on sustainable agriculture and ecology; food systems; community and economic development; nutrition and health; and other topics such as food security and justice, policy, culture and traditions. Students also have formal and informal opportunities to engage in the community around food throughout their summer. Middlebury FoodWorks was piloted in Louisville in 2012, and expanded to include our Vermont partners in 2013. FoodWorks will expand to California and Washington, D.C. in 2015. What we eat can connect us to other people, as well as to the places where our food comes from. 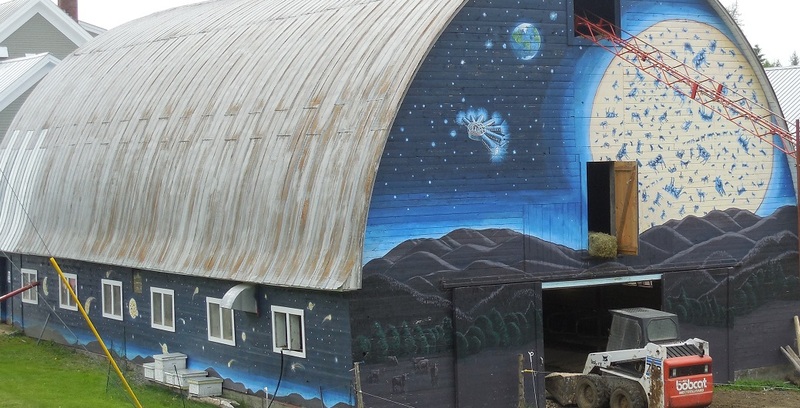 For these reasons, Middlebury places a strong emphasis on local food, as well as composting. Dining Services sources food products from 50 Vermont food producers and also purchases small amounts of fresh produce from the student-run organic farm. Twenty five percent of food at Middlebury is sourced from Vermont, and we divert nearly all food waste from ending up in the landfill through our composting program. Middlebury has committed to the Real Food Challenge with a 30% goal by 2016. Students began organizing around real food in 2012. They gathered data from fellow students and found campus wide support for their work to create a more sustainable food system. They also started having discussions with Dining Services and received a grant from the Environmental Council to fund the first real food internships in 2014. During these internships, students tracked and recorded 3 months worth of purchasing receipts to create a baseline measurement of our real food, which was about 22%. Over the summer the students worked with Dining Services to implement five food products (shifting to new products that qualified as real food). This brought us up to a real food percentage of 25.4%. 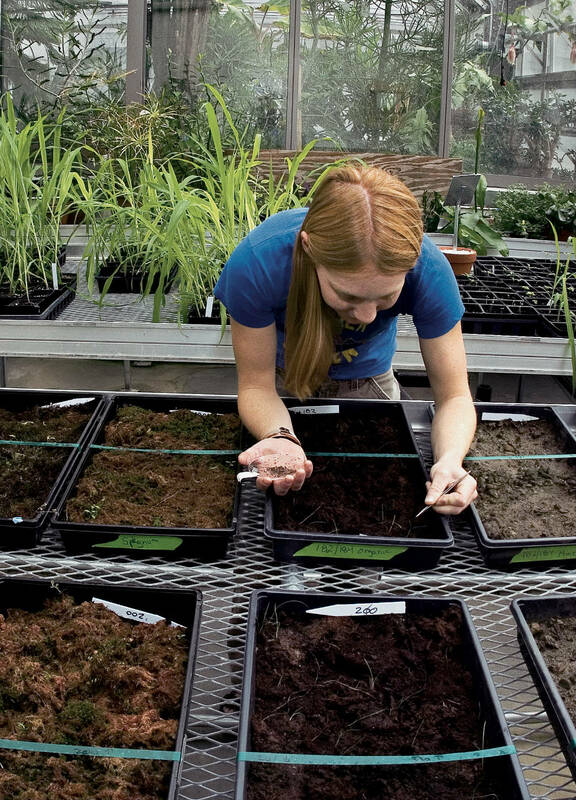 Students continue to research reaching 50% real food by 2020. On a national average, food waste comprises upwards of 7% of the municipal solid waste stream. But not at Middlebury College. A collaborative effort between Dining Services and Facilities Management turns nearly 300 tons of food waste into rich piles of compost for use in greenhouses and gardens, and as soil amendment on campus. Food prep scraps, postconsumer food residuals, waxed cardboard, paper towels, napkins and food prep waste paper—some 70% of the College’s food waste—is composted. Plate waste (post consumer food residuals) is run through a pulper to remove excess water. Even when Dining Services moves outdoors for picnics or large College celebrations, the compost program maintains momentum. Approximately 90% of the waste generated by these large outdoor events goes directly into the College’s composting system instead of the landfill. Paper plates, napkins, paper cups and biodegradable trash bag liners are all compostable. Depending on the event, Dining Services determines the feasibility of using silverware instead of plastic whenever possible. In the past the College used biodegradable utensils made from cornstarch; however, the product line was discontinued. Dining Services works with faculty and students to further learning opportunities related to food. This collaboration includes working with the organic farm and assisting in a project to map the distance food travels to reach Middlebury dining halls. 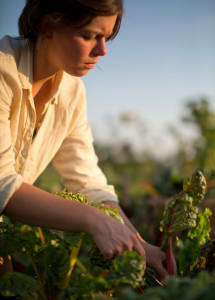 Since 2003 Dining Services has worked with the Middlebury College Organic Farm. This student-initiated garden sells small quantities of freshly harvested produce throughout the growing months to Dining Services, who continue their operations for the renowned Language Schools offered at Middlebury throughout the summer. Dining Services has partnered with Champlain Orchards to explore the use of greenhouses to provide local fruits and vegetables during winter months, and offer students a resource for research opportunities. Linking academics to operations, Dining Services worked with students and faculty to map the distance food travels from farm to plate. Using Google Earth, this group mapped the ingredients of specific Middlebury meals, including the chicken parmesan dinner. The Environmental Council formed a Food subcommittee to investigate Middlebury College’s definition of local and options for potentially increasing local food purchases. MiddCORE2013 partnered with Addison County Relocalization Network (ACORN) to draft a proposal for an Addison Country food hub (http://acornvt.org/middcore/). The Middlebury College Organic Farm (MCOF) is a student organization that maintains a plot of fruits and vegetables. The produce we grow reflects a balance between efficient, profitable crops and more labor intensive, less productive crops grown for educational purposes. 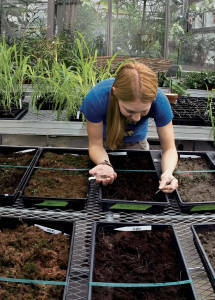 While planting rows of lettuce for Atwater Dining Hall or contemplating coursework in our outdoor classroom, we not only come to understand the problems with industrial agriculture, but also explore and help develop local, organic solutions. We are located west of Middlebury College on Route 125. Our customers range from the Middlebury College dining halls to local restaurants and delis, and include Weybridge House, the College’s environmental studies academic interest house.